With accommodation forming a major part of a holiday expense, hotel in Milan at a fixed or discounted rates are a great way to save money. Far too often you get excited about a city weekend break, choose a Milan hotel that is within budget, put in the dates you want to go and suddenly the price shoots up. But thanks to MilanoCard’s partnership with some top city hotels, this need not happen when you book your weekend in Milan. Accommodation usually takes up a large part of a holiday budget, so it is always advantageous to be able to stay in Milan hotels at a discount or at fix rates. 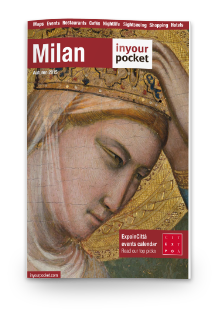 For holders of a MilanoCard, there are discounts available at some of top Milan hotels. Guests to the hotel are welcomed with a cocktail in the restaurant and fruit and canapes in their room. To make your stay in Milan as smooth as possible, ask the hotel staff for help with dinner reservations and tickets to events. When deciding where to stay on holiday, many people choose one of the apartments of Milan. Choosing accommodation is one of the most important decisions you will make when planning a holiday. It is likely to be one of the more expensive parts of the holiday, too, so choosing the right accommodation ensures you get your holiday off to the best start. Buy a MilanoCard before your arriving and you can get up to 15% discount on selected apartments in Milan.